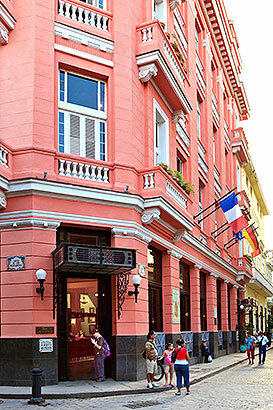 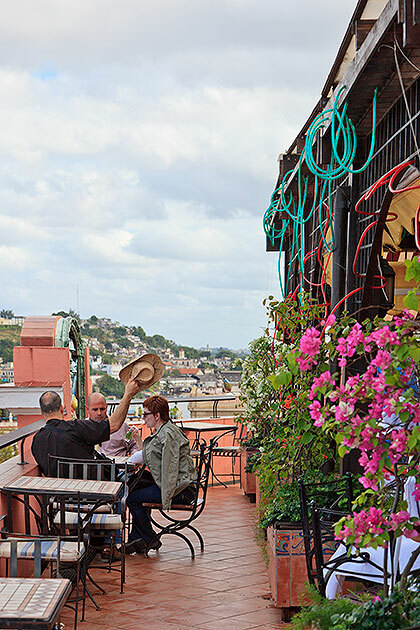 The Hotel Ambos Mundos, made famous by its one-time resident Ernest Hemingway, sits near the east end of Obispo Street, unmistakable for its bright salmon color. 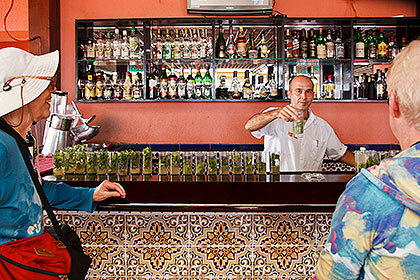 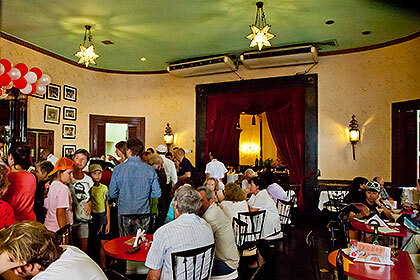 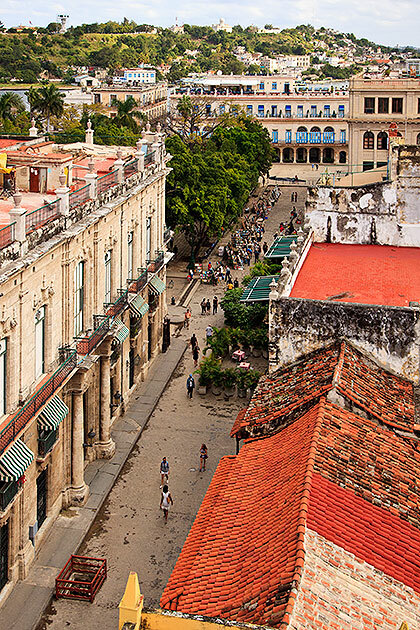 The roof level bar has an expert barman with a talent for making Mohitos, and a comfortable outdoor seating area with good views of Old Havana. 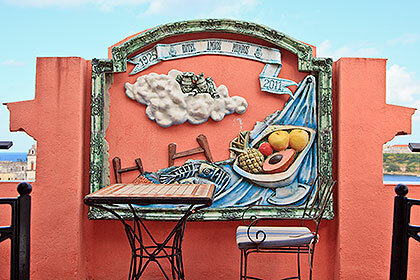 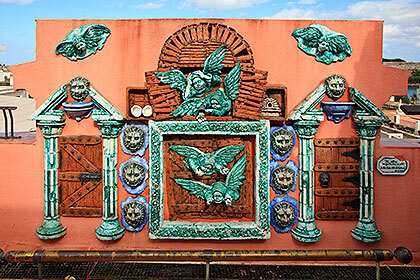 We are not entirely sure what the bas-relief sculptures are intended to portray, but they add a whimsical and colorful touch to the scene. 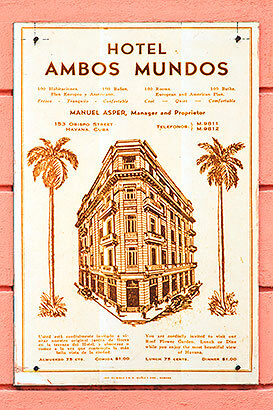 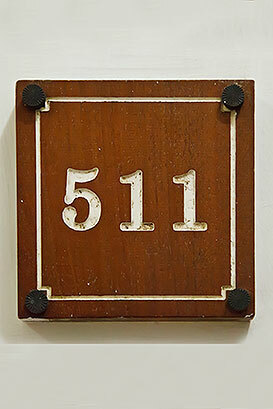 Hemingway lived in Apartment 511 at the Hotel Ambos Mundos much of the time between 1932 and 1939. 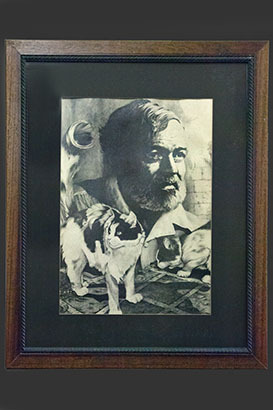 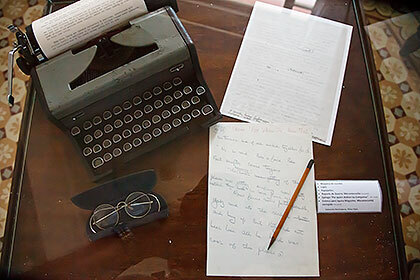 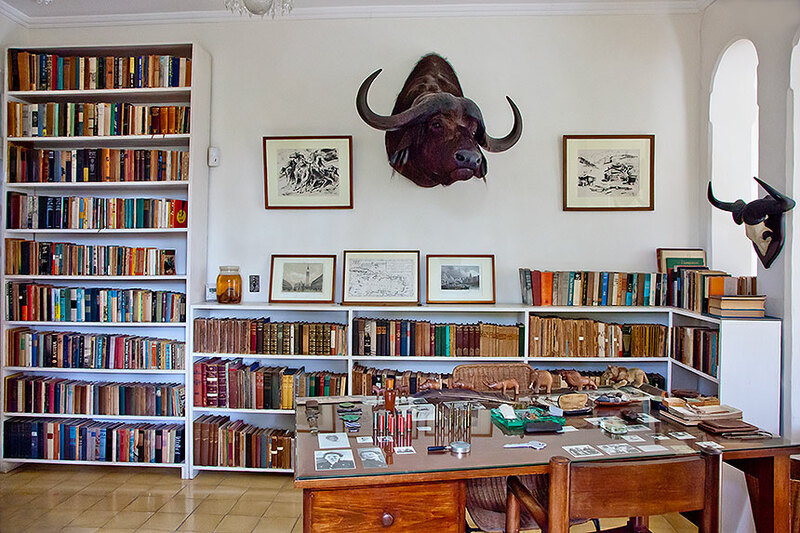 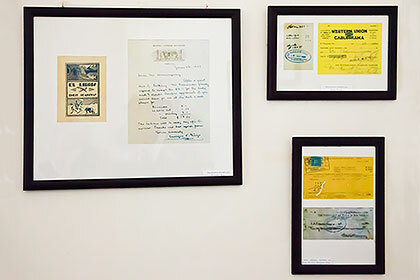 The hotel, which has had several restorations through the years, has maintained Hemingway’s apartment much as it was when he occupied it, with many artifacts and documents pertaining to his residence and his writings. 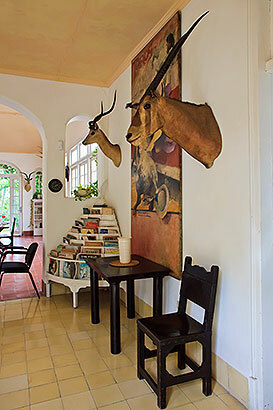 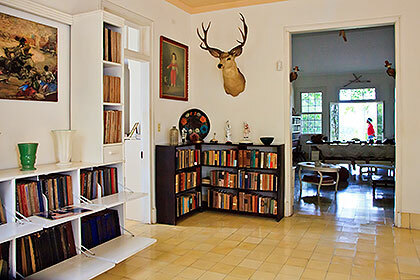 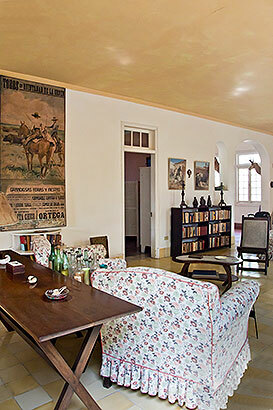 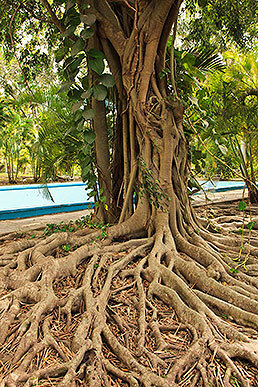 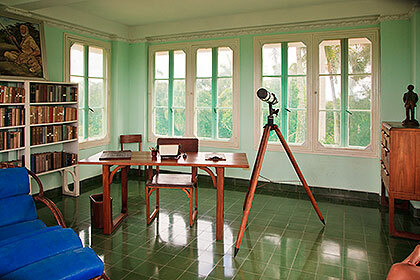 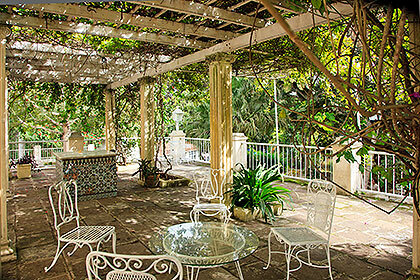 Ernest Hemingway purchased this villa on the outskirts of Havana in 1939, after deciding to reside in Cuba. 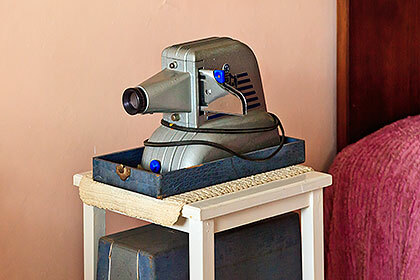 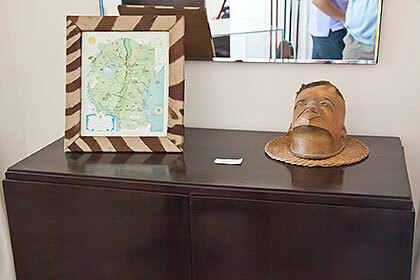 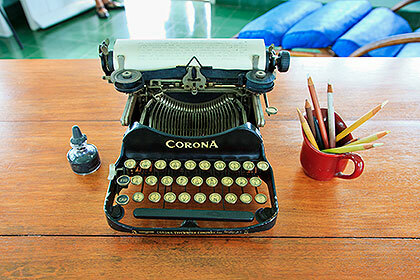 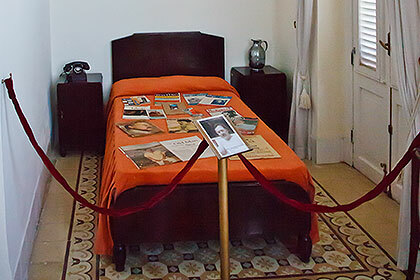 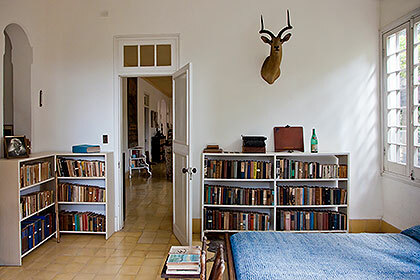 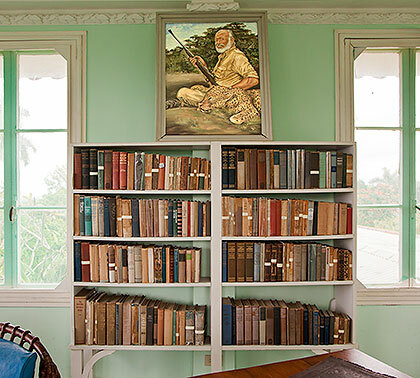 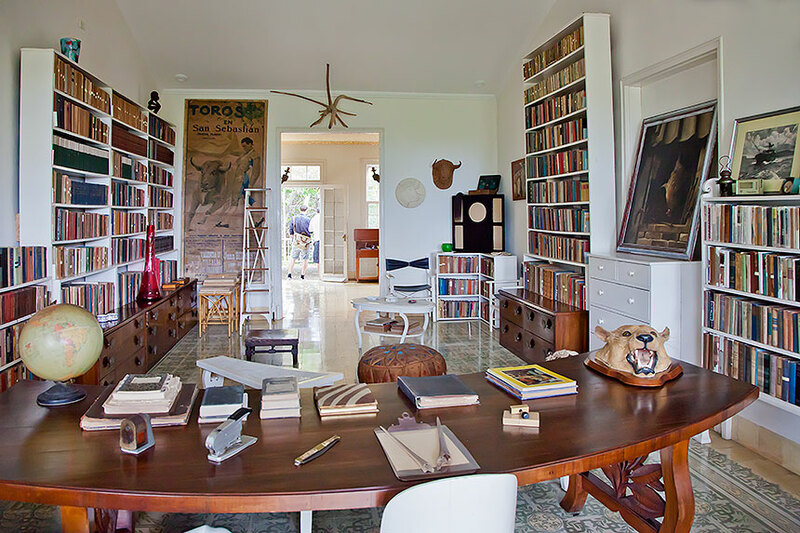 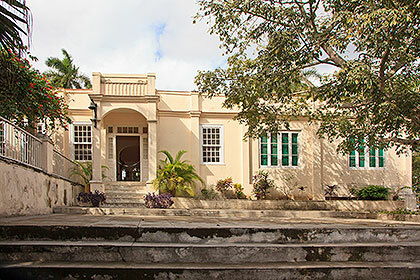 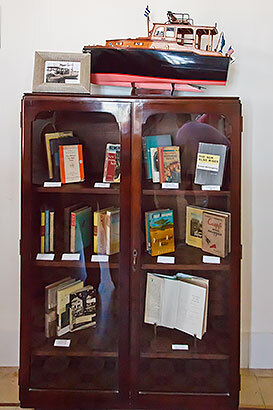 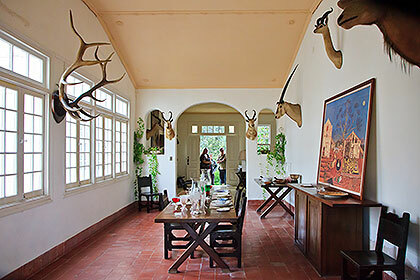 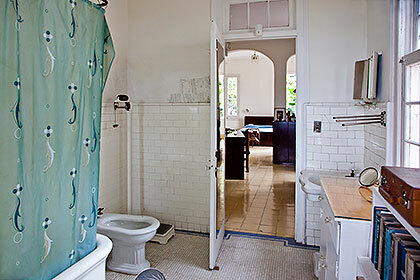 The Cuban government maintains the estate as a museum, preserving everything just about as Hemingway last left it before his return to the USA and subsequent suicide. 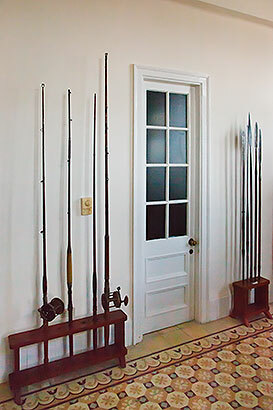 Visitors are not permitted to enter, but may look inside the home through its many doors and windows. 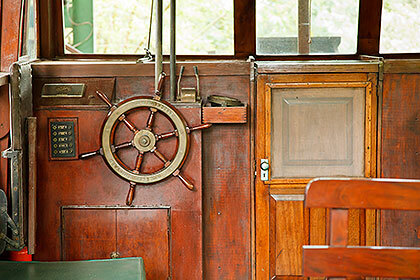 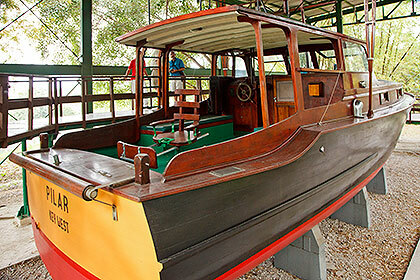 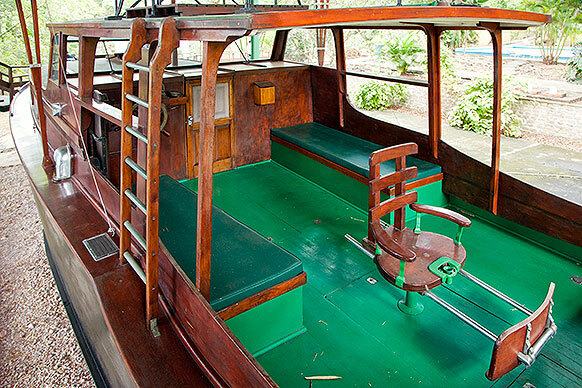 Hemingway’s fishing boat, the Pilar, is exhibited under a canopy on the grounds of Finca La Vigia. 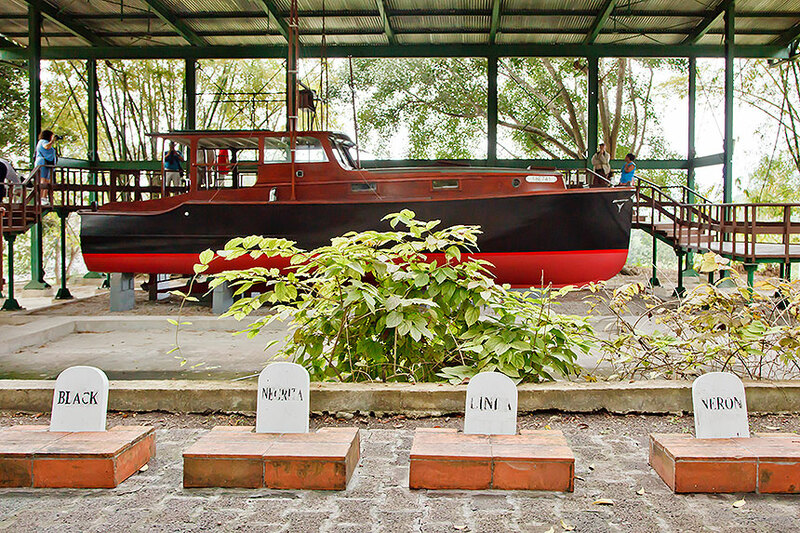 A pet cemetery with the graves of his many cats and dogs is also maintained. 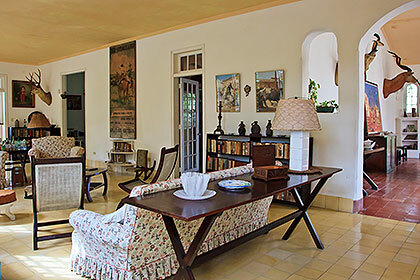 Just outside Havana to the east is the tiny fishing village of Cojímar, which was the inspiration for Hemingway's "The Old Man and the Sea". 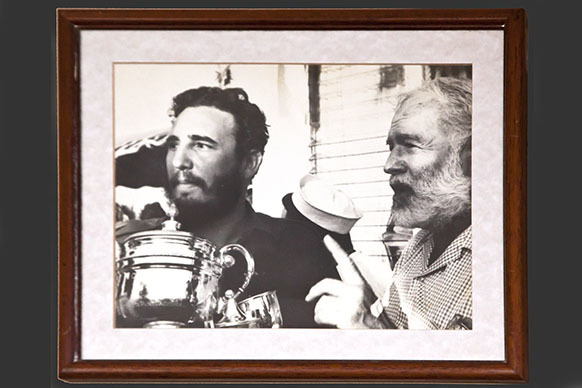 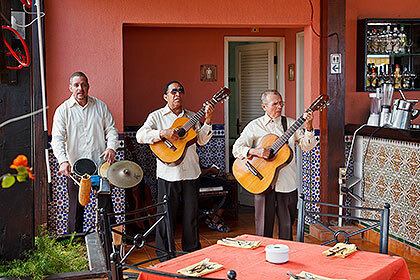 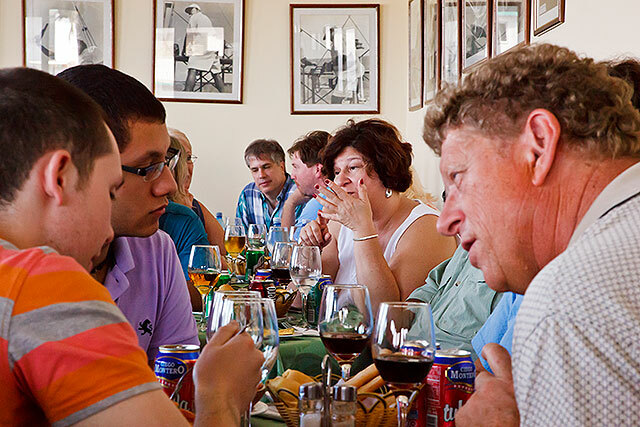 We have an earnest discussion about Ernest Hemingway at his favorite Cojímar restaurant, La Terraza de Cojímar, where we are surrounded by photographs of him, and serenaded by musicians. 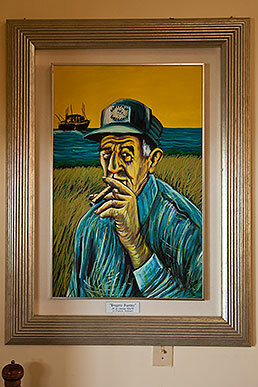 Gregorio Fuentes was Ernest Hemingway's fishing guide, and served as the model for the character Santiago in "The Old Man and the Sea". 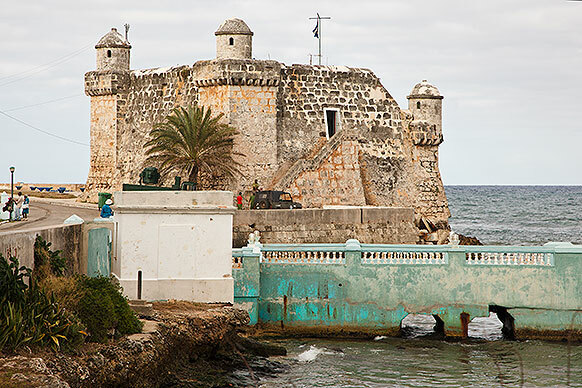 Left, Torreón de Cojímar, a 17th-century Spanish fort now used by the Cuban Coast Guard. 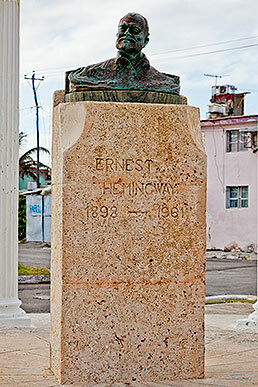 At right is a monument to Hemingway. 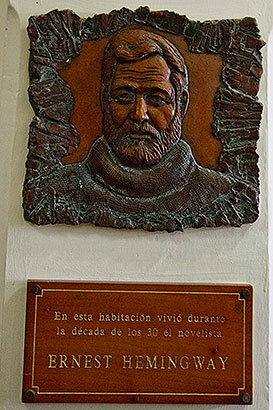 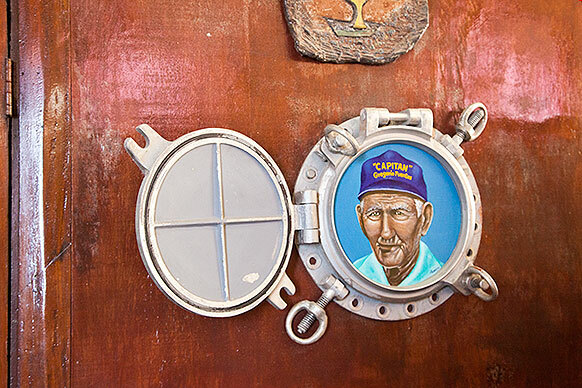 The bust is identical to the one in El Floridita (below), but was cast from anchors, hooks and tools donated by his Cojímar fishing friends. 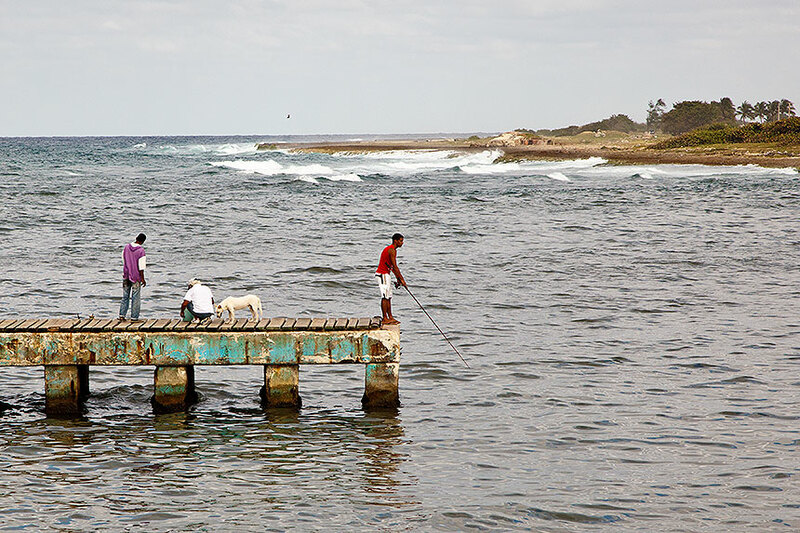 They still fish at Cojímar. 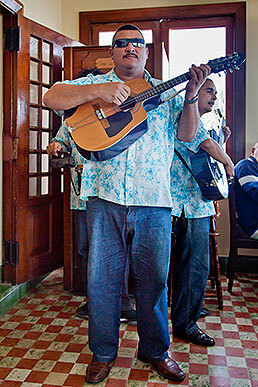 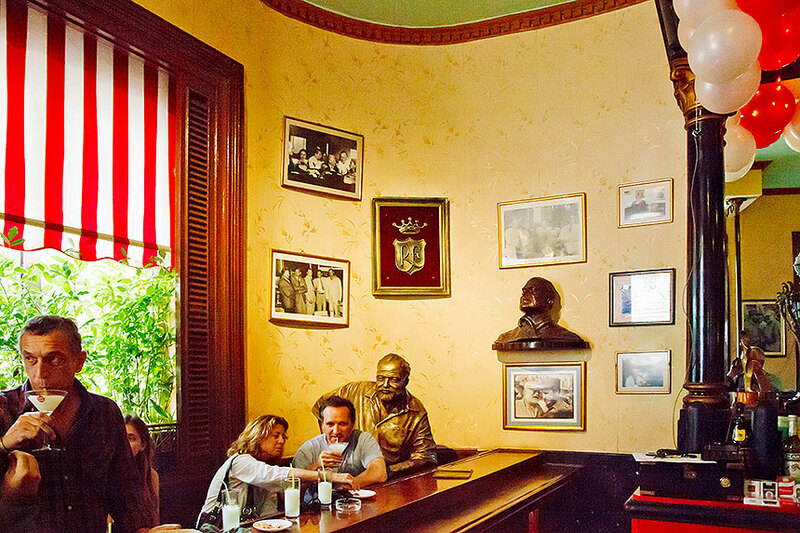 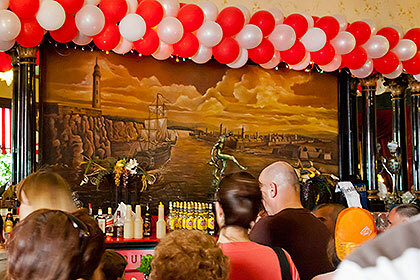 Back in Havana at Hemingway's favorite bar, the El Floridita, we find it too crowded to linger, but we notice that Hemingway himself is still there, right under his own bust on the wall (below).